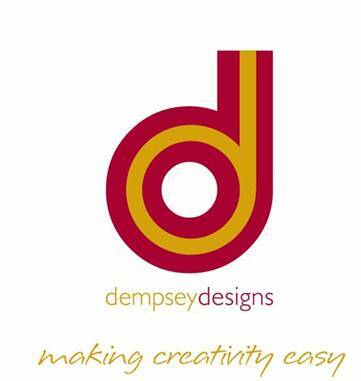 Dempsey Designs was set up in November 2004. The Company’s goal is to supply the Craft Market with Designer Craft Kits featuring popular crafts such as Card Making, Decorative Painting, Candle Making and Metal Embossing. Since then we have launched more than 60 craft kits. The Company is run by Debbie and Ian Dempsey. Debbie Dempsey, who manages the Company has worked in the Craft Industry since 1991. First in Marketing for Winsor & Newton/Colart, (Fine Art and Craft Products ), then as General Manager of DMC (Craft Products ), then Managing Director of DMC (Market Leader for Needlework and Craft products) for 8 years. During her career first with Colart she renewed the Dryad craft kits range and re-launched the Reeves and Color & Co range of children’s art and craft products. At DMC she was responsible for starting a Craft Division and launching many hundreds of craft kits from 1996-2003. At DMC she was well known for leading the massive product innovation in needlework kits of 500 new products each year and the successful move into licensed needlework design. Having worked with two market leaders, Debbie could see an opportunity in the craft kit area, particularly as the Card Making Trend had really started to take off. She felt there was a niche in the market for high quality design- led craft kits to be sold in outlets such as John Lewis and Hobbycraft. Debbie works closely with a number of Craft Designers, who have developed numerous craft kits and who have published many books on craft. Dempsey Designs are constantly developing and seeking new product ideas. All our Craft kits are designed, developed and manufactured in the UK.